Well, I did some math... and Dear Hubby and I have shared approximately 3,000 breakfasts together. And this weekend (this recipe) he said was the best breakfast I've ever made...in 8 years of marriage. Those are high compliments, especially since this meal was a bit of a breakfast experiment. I looked in the fridge. I saw what we had. I threw some things together. And BAM: perfection :) And the best part is, they look really beautiful and fancy but are so easy to make. 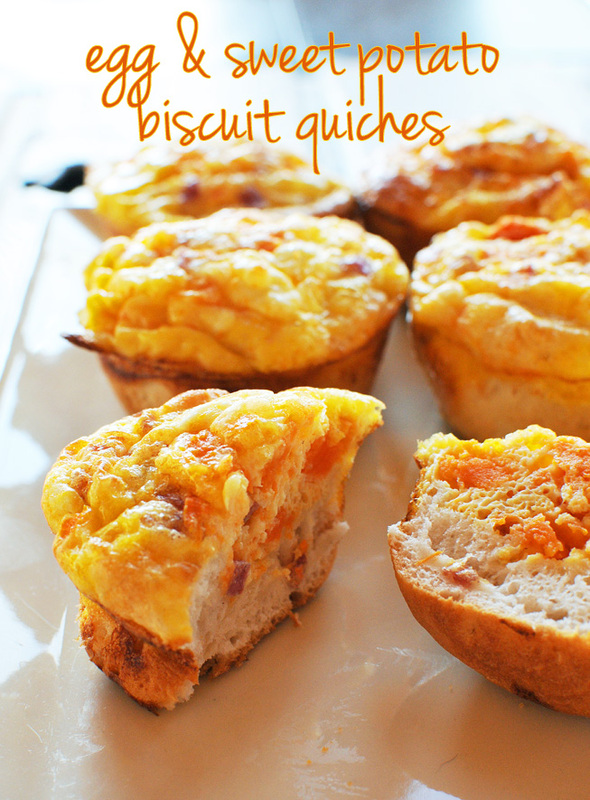 Babycakes wanted me to be sure to capture her biscuit quiche on camera. 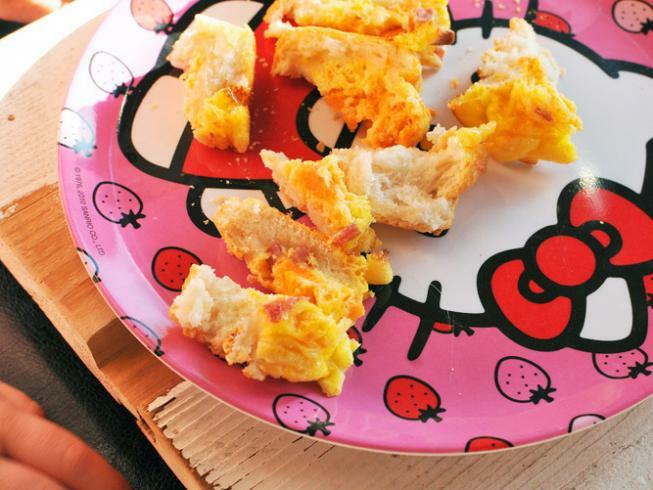 So here it is, in all it's Hello Kitty Glory :) She gobbled up every last bite. Besides baking this weekend, I also rearranged all the furniture in my living room. It is so much more open and spacious. 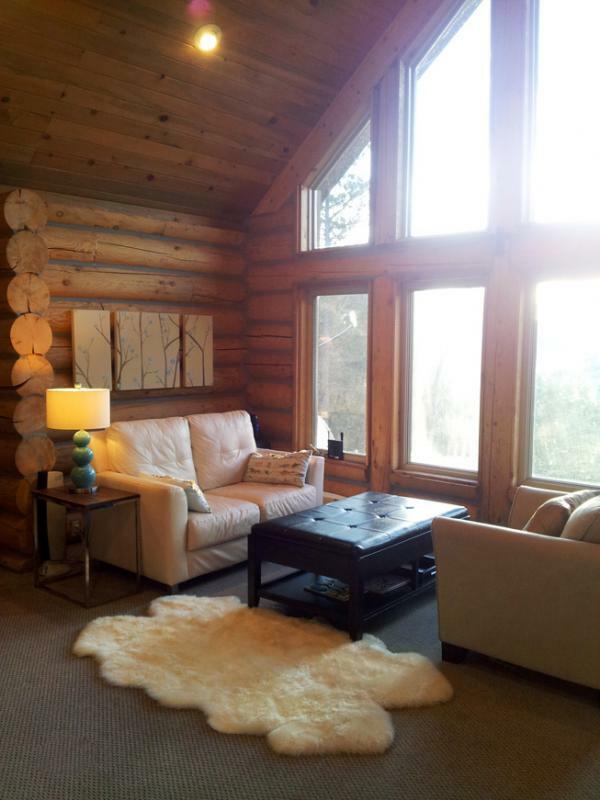 And doesn't my Christmas present (sheepskin rug) look perfect in my new mountain home? !